You find it on your arms, thighs and most probably on the belly as well . We are referring to stretch marks. Stretch marks is one of the most common issue that is being faced by almost every one. It could be due to sudden weight loss or due to pregnancy as well. These stretch marks develop very easily but takes hell lot of time to get disappear. To prevent stretch marks formation it is very essential to keep your skin well nourished and lubricated to avoid the skin stretching. Trying various anti stretch marks creams is obviously your first choice to fade them but none of these creams guarantee the results. Home remedies are always cheaper and does not even ask you to pay huge bomb. Castor oil is one of the cheapest ingredient to take care of stretch marks. Its fatty acids work as an effective moisturizer and nourish your skin to speed up the healing process of the skin. While the castor oil hydrate the skin and improves skin elasticity, potato juice helps to fade the skin discoloration due to its skin lightening properties. Hence you get the smoother and stretch marks free skin naturally. Peel off one potato and grate it to extract the fresh juice from it. Mix this potato juice with two tablespoons of pure castor oil. It may take time to blend totally. Spread it on your stretch marks and let this remedy work on it for 30 minutes . A good oil massage definitely works great on all the skin issue such as dryness, patchiness and other skin issues as well. 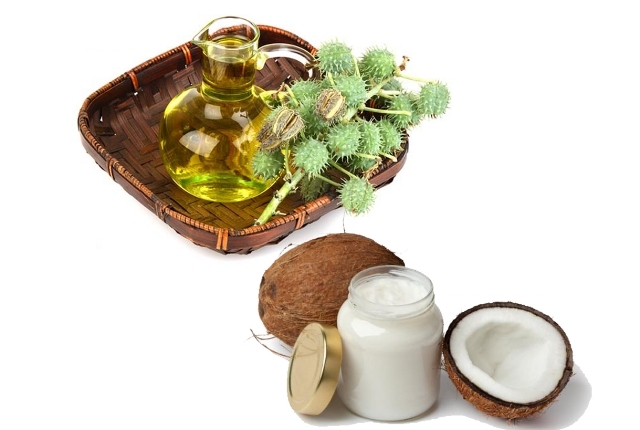 Warm a mixture of a equal quantities of Castor oil and Coconut Oil. Dip your fingers in it and start massaging the stretch marks area for few minutes. This remedy needs to be performed before sleeping so that you can keep it over night once you done with the massage. Take a warm shower in the morning to wash off the oils. The concoction of Castor Oil and Coconut oil is the perfect blend for the stretch marks that heals the skin damages and start the repairing process. Take five to six cloves and grind to a fine powder. Add it to two tablespoons of Castor Oil . Put this mixture on the heat and warm it for few minutes till the time powder dissolves in the oil and it changes the color. Switch off the heat and let the mixture cool down. Use this as a massage oil for your stretch marks to get rid of it completely. A good 15 minutes of massage would surely get you the relief from damaged skin. This combination heals the skin rapidly and fade the ugly marks faster. This is an another overnight remedy that results into a well moisturized and smoother skin gradually. Aloe Vera being a natural moisturizer and anti oxidant rich ingredient surely heals the damaged skin and those stretch marks along with Castor oil. Scoop out the fresh gel from aloe vera and blend it smoothly with castor oil. Put a layer of this mixture over night after massaging it for good 5 minutes into your skin. 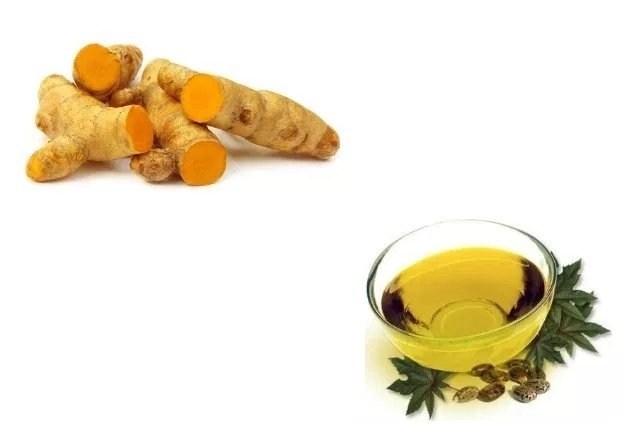 Combine the castor oil with the anti oxidants of turmeric powder to heal those stubborn stretch marks. Not only this. The Turmeric powder is certainly a perfect ingredient to get the clearer and flawless complexion. Half a teaspoon of turmeric powder and one tablespoon of castor oil would give you the best remedy for your stretch marks. Like other remedies mentioned above just massage it on the skin where you have stretch marks and let it do its job for an hour. You must have seen various wrap recipes for the stretch marks on internet. But this would be probably the best and easiest wrap recipe to reduce the stretch marks. How to prepare this mask and use it ? Warm some castor oil a bit and apply on your skin where you have the stretch marks. Now cover the area with a plastic wrap and make sure you cover it tightly so that the heat which gets produced in this process would not get evaporate. Take a heating pad or a bottle containing hot water and use it to massage the covered area for about 25 to 30 minutes. Like wraps you must have seen the scrubs as well for stretch marks. Sugar is the basic ingredient in these scrubs. Here in our recipe we would be using the same. Sugar is a very popular and very effective natural ingredient that facilitates the skin renewal and get rid of impurities. Lets prepare the scrub. Start mixing one tablespoon of sugar with a tablespoon of castor oil. A good scrub of five minutes is needed before leaving it on the skin for 15 minutes. Splash warm water to remove the scrub. Being anti inflammatory and anti oxidant in nature this natural exfoliator is the perfect pick when it comes to diminishing the stretch marks. Oatmeal heals the skin and also get rid of skin irritation. The trio oatmeal, olive oil and castor oil works absolutely effective on fading the stretch marks while keeping the skin hydrated. Use one teaspoon of oatmeal, two tablespoons of olive oil and one tablespoon of castor oil as a scrub for 5 minutes. Do you think a good hot oil massage only stimulate the blood circulation and relax your body ? Not really. It has other benefits as well. Even for the stretch marks. When the oil is warm it penetrates into your skin in a better way and heal the dry cells and damaged tissues. Stretch marks are the result of damaged skim tissues which are formed when your skin gets stretched and lacks hydration. Take a warm castor oil and massage the stretch marks with it for 5 to 6 minutes. If you wish you can keep it for 30 minutes before rinsing off. 5 Superb Homemade Hair Serum’s For Varying Texture Of Hair!